Description Simon Welk’s mad scientists love to experiment on Muck Critters. One lucky critter found a way out of his cage. 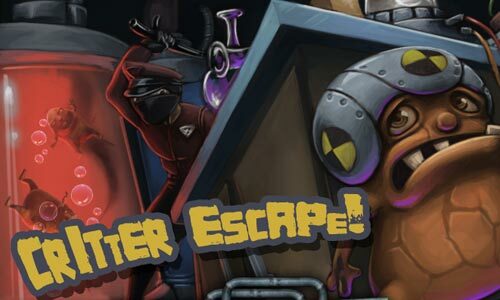 Help him evade the Welk Guard and escape Welk Laboratories! Controls The arrow keys move the Muck Critter up, down, left or right. Find and reach the exit of each level before you get caught. Don’t let the guards see you or they will give chase. Escape all the levels to win. Look out for powerups—they will help you escape!